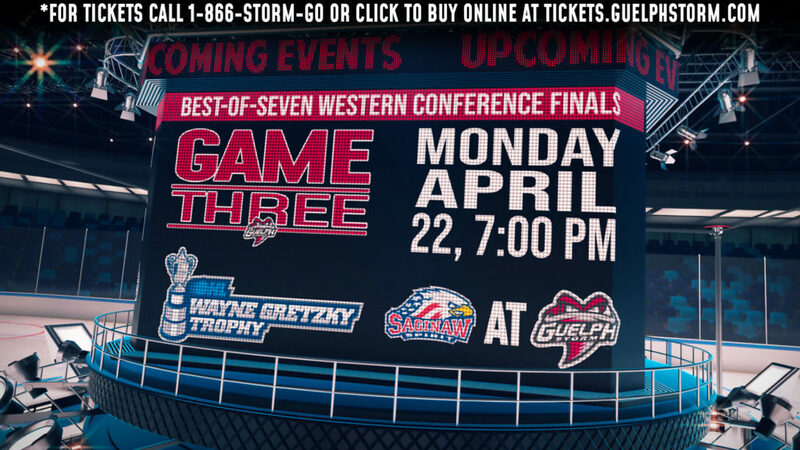 The Guelph Storm and the London Knights return to the ice for game 3 of the Western Conference Semi-Finals on Monday April 8th at 7:00pm at the Sleeman Centre. 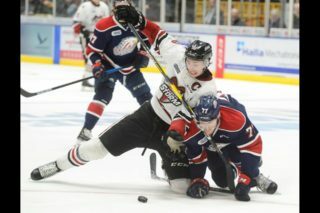 The London Knights head into game three with a 2-0 series lead after dismantling the Guelph Storm on Sunday afternoon. 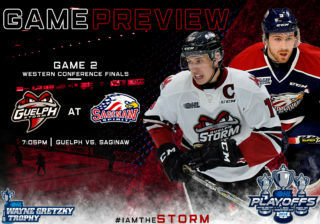 In game 1, the London Knights were able to hold on to a 3-2 final, and take a 1-0 series lead going into game two. 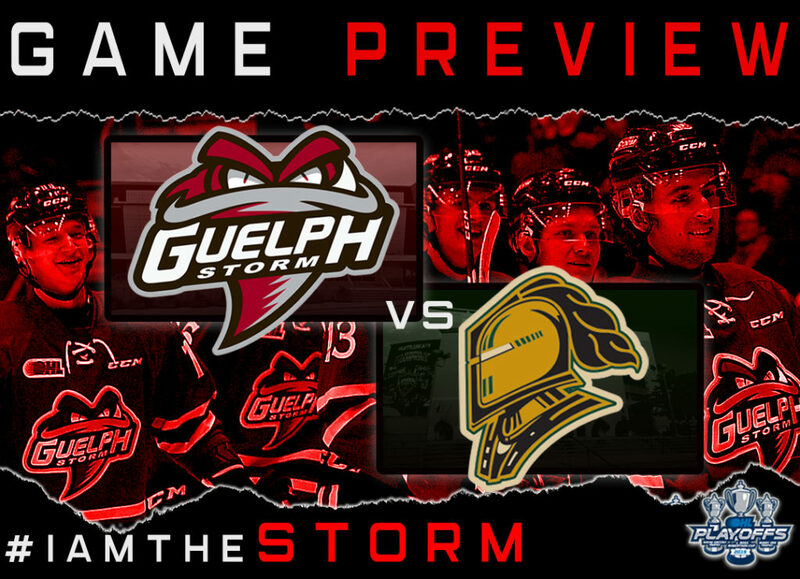 Sunday afternoon, the Storm and Knights took to the ice to play game two of their best of seven series, as the London Knights took a 1-0 lead into the 2nd period. London added another goal late in the 2nd period to give the Knights a 2-0 lead after 40 minutes. 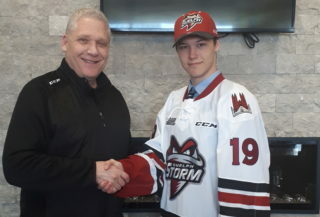 The 3rd period was a disaster for the Guelph Storm as London scored 5 goals in the opening 6 minutes of the period to give London a 7-0 lead and a 2-0 series lead heading to Guelph.